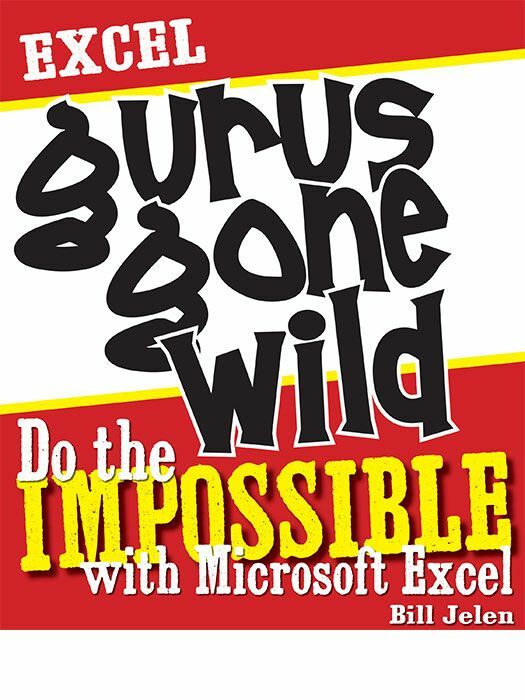 Without apologies, this book is filled with the weird and the arcane from the world of Excel. Most tricks will only be of interest to the hard-core Exceller ! I am not out to reach the masses with this book. Topics in this book are arcane. A person who uses Excel for 2000 hours per year might need to use any given topic once every 20,000 years. It is probably 1 tenth of one percent of the people using Excel will find any of this stuff fascinating. If you always wondered why people put minus minus in their SUMPRODUCT formulas, then this book might be for you. If that last sentence makes no sense, then I’ve written plenty of other books which would appeal to you.